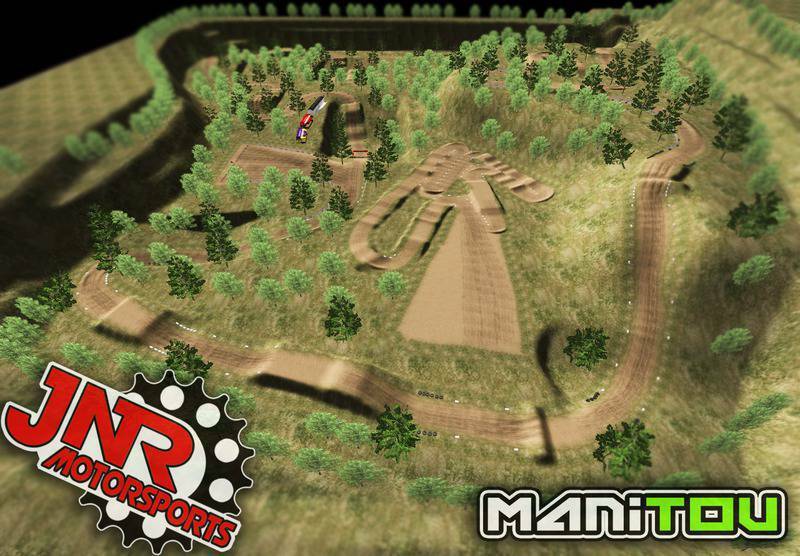 My latest track for JNR Motorsports. - Sorry if I forgot someone! I used the track fences from Lake Elsinore. If somebody got problems with the fact I used the fences I have no problems to take the link down. Thanks a lot to Manitou for making this for us! I think it turned out great! supercross track feels like a 50cc track, super small. and there is one table on the moto tack that feels like it is backwards, the take off feels like the landing and vise versa. still a fun compound though! Ive only ran the mx track but after a few laps of getting used to it I really like it. Thanks for sharing. I WOULD DOWNLOAD BUT CAPTCHA JUST POPS UP AND IT KEEPS FAILING!!! MxRicer211 wrote: I WOULD DOWNLOAD BUT CAPTCHA JUST POPS UP AND IT KEEPS FAILING!!! Just keep refreshing it and doing it again or leave it and download it later. It happens to me too.